The human existence is so much more than just existing. Life is meant to be an experience, trial and error, adventure, and excitement. With life, comes love. As humans, letting someone in is one of the hardest things to do in any relationship, romantic or not. There is an undeniable fear living within us all: That the person we desire the most is the same person who holds the power to destroy us. When you let go, and let them in, however, greatness and adventure are usually waiting on the other side. 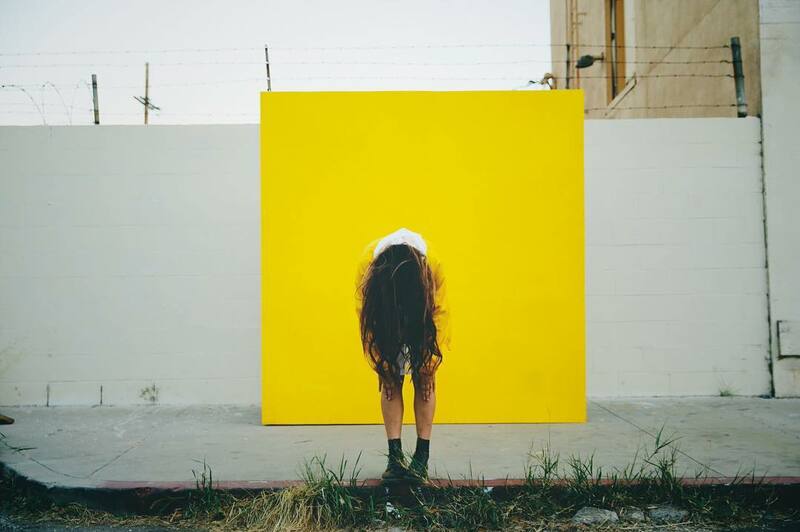 Wens, a 17 year old LA native, leaves us “tangled in [her] web” and spellbound with her sultry debut song “Bones.” Being at a ripe stage of life, the young pop writer might know a thing or two about being a daring youth. Her powerful vocals and heavy pop-synth instrumentation take listeners on a dark, adventurous path into her mind, and although you’re not sure where you might end up, you’ll go right ahead. The beginning of the song is ominous, giving off a sense of uncertainty. Wens worries about letting her guard down because when one gets one’s hopes up, it can often lead to “regret.” Youth isn’t all about finding someone to fall in love with, though; it’s about falling in love with a moment in time, or even falling in love with a feeling you had once. When you let go of that fear of being disappointed, all obstacles will break, and then you will find the thrill that you so seek. It’s a restless urgency for adventure to leave the place she is at now. The youth are constantly filled with an eagerness to be wild, and to live life like nothing can hold us down. It’s almost an ignorant feeling of invincibility. It’s a blissful feeling to know that if you want to be free, you can be; you just need to break down a few fences to get there. As the song begins to build, the anticipation of freedom and adventure only heightens. The chorus echoes “bones”and it makes you want to gather your “squad,” dress in all black, and storm a graveyard. Although, storming a graveyard might be pushing the whole “bones” thing a little too far. You could sub in an empty school, an abandoned warehouse, or anything that makes you feel slightly uneasy. The words sung against the heavy synths create a dark, angst-y feel to it, but within that teen angst, there is power. We are not immortal, nor do we have nine lives. That is the beauty of being human, though; that we tend to believe we are. We strive to live life to our fullest potential. The timeless, and embarrassingly overused, phrase “carpe diem” has never felt more tangible until Wens sings, “All of me is alive ‘til I’m dead.” Like Wens, we all want to find someone who makes us feel like we are alive, and not just breathing. Life is meant for living and we all seek thrill to keep our hearts fluttering with adrenaline. The last chorus is stronger than ever, letting you know that these feelings of restlessness and eagerness to experience life at its greatest potential will never be subdued. The want – no – the need to do something that makes you feel powerful or young is like that annoying itch that you can’t scratch. When you feel a “whisper in [your] bones” you should probably just listen, because it can lead you to a life full of exploration. “Bones” may be Wens’ debut, but from the sound of her booming vocals and fierce lyricism, it is surely the first of many.